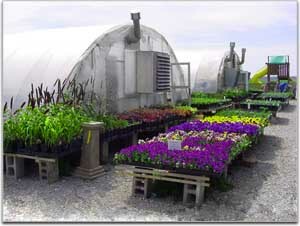 We are a seasonal greenhouse operation specializing in annual and perennial flowers. We feel we have one of the best selections in the area and try to live up to the slogan “We’re well worth the drive.” We do not handle trees or shrubs, or do design or installation work. This leaves us more time to grow and produce the best selection of herbaceous plants for you. We are open for business from the middle of March until the middle of June (we actually start working in the greenhouses in January every year). The season might vary according to the weather. 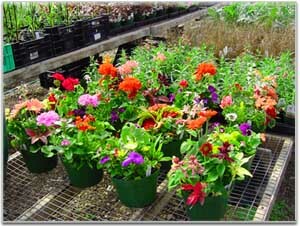 We grow almost all our own plants which we feel is a great bonus for you in variety and quality.